Why did the Coeur d'Alene Press give nearly 3,000 words to a three-part op-ed series about 'chemtrail' conspiracies? Contrails, or \"chemtrails\"? Scientists have been unable to kill the consipiracy. As a kid, you may have marveled at the white trails airplanes leave across the blue sky. 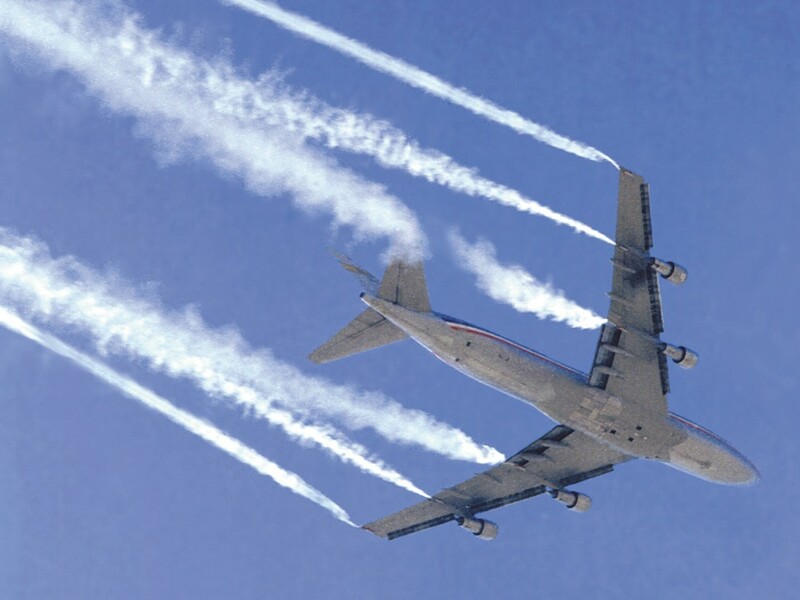 They’re “contrails,” your dad may have explained — the result of hot engine exhaust mixing with the cold air of the sky. Yes, it’s a conspiracy theory, and an old one. The Air Force, NASA scientists, the EPA and scores of other experts call such claims a “hoax,” “nuts,” or even “evil.” (Harris says these groups are lying.) Long-lasting contrails aren’t sinister, scientists say, they’re just caused by specific atmospheric conditions. Harris’s claims spawned a salvo of letters to the Press. One guest editorial, by chemical engineer John Huckabay, savaged Harris’s science, explaining that metallic aluminum is not a heavy metal, does not have a half-life, is not soluble in water, has no link to Alzheimer’s, and would not make trees explode. “I recognize that the Press has a disclaimer but this article should never have been published,” Huckabay writes. That’s the underlying question: Should newspapers run conspiracy theories? Kelly McBride at the Poynter Institute, a nonprofit journalism school, says that on one hand, publishers in the past have turned away people who turned out to be right. “[On the other hand], to the extent that you open up pages to unvetted, unverified information, you actually detract from dialogue in the community,” McBride says. Coeur d’Alene Press managing editor Mike Patrick says that chemtrails are already being talked about, so it’s valuable to bring them up for debate. Patrick says he’s interested in presenting both sides, pointing out that he published the chemical engineer’s rebuttal. “It’s my decision to allow a climatologist to discuss whatever issues that he finds that his readers are wanting him to discuss,” Patrick says. Far from distancing itself, the Press highlighted the issue in an online poll, asking whether readers were concerned about chemtrails (with over 300 votes, nearly 43 percent were). The Press published over twice as many words supporting the theory as it did against it. For Harris, the tipping point was What Are They Spraying, a documentary featuring lengthy interviews with G. Edward Griffin, who also hocks conspiracy theories on the Federal Reserve and cancer treatment. Harris is not your usual weatherman. He majored in insurance law, not meteorology. Unlike the vast majority of scientists, he worries more about a new Ice Age than global warming. And he writes, in his columns, that more turbulent weather signals the beginning of a chaotic “tribulation” period before the second coming of Jesus. “The WEATHER could turn out to both GOD’s and MANKIND’s ‘ULTIMATE WEAPON,’” he writes. Jonathan Kay, author of Among the Truthers, says that, while studying conspiracy theorists, he’s noticed denial of conventional global-warming science may turn into a “gateway drug” to “more loony” conspiracy theories. It’s one thing for a columnist to write about a dubious conspiracy theory. A columnist using an invented quote from a respected scientist to support a theory that scientist adamantly denies? That’s another problem entirely. A previous version of this story misstated whom we had called and whom we had emailed in response to David Keith's claims.